Learn more about Katie Rose baby clothes. Based in Westchester, New York, we make custom-designed dresses, gowns, and more for babies across the US and Canada. Katie Rose is a high-end baby clothing line that is inspired by vintage fashions. Our limited edition clothing for boys and girls is made from the finest fabrics, which must be hand washed, and are non-dry clean. Our exceptional designs make great gifts. Katie has always been a designer, getting her start by making designs for her father's business before moving on to designing clothes with a friend. Those early experiences, which included designing clothes for a fashion show, helped her realize that design is what she truly loves. Over the years, Katie has turned her hobby into a full-time business. Inspired by the fun she gets out of design and the doll clothing she loved as a child, Katie appreciates the opportunity she has to design elegant clothing and the relationships she's built with many of her customers. Her clothes are now available in many stores, and that number is growing as she gains a more in-depth understanding of the sales and business parts of the enterprise. Going above and beyond for our customers has helped us build a loyal following. We have a generous return policy, and if anything goes wrong you can return your item within five days. However, we have a very low return rate. We can even make special changes to bulk orders. We regularly add new designs, which you can view in our pictures or by coming to one of our shows. You can also give direct feedback to Katie. Let us know if you need more information about handling, care, availability, or sizing. A lot of celebrities are dressing their children in Katie Rose baby clothing, and we get positive feedback from satisfied customers all the time. 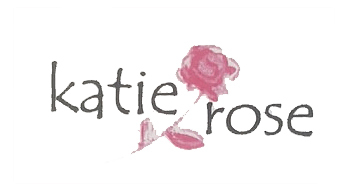 They have said things like, "Katie Rose creates such beautiful baby clothing, made from the highest quality fabrics," and, "At Katie Rose, you will always find great new designs, the latest in baby fashion, and quality handmade garments." We have received so many beautiful thank you letters from our satisfied customers, and we're very appreciative of everyone who supports our brand. We want you to know that we are hard at work continuing to create the quality baby clothing you have come to expect from us, and we'll continue to provide customer service that exceeds your expectations.